I've this RDA. I'm more of a flavor chaser than a cloud chaser but this goon 22 gives me both which is very satisfying. Now with that said I don't believe that the posts are gold plated but brass. Wich is fine by me it still works great and on mine the post held in by the screw on the bottom tries to spin when I'm rebuilding but with a build in it is no problem. Doesn't move at all. Very satisfied with my purchase. Ha anche il pin bf? I loved this RDA, I mean it looked perfect and worked so well. One problem, not all clones are created equal. Whatever metal the clamps happen to be (smells like brass) leaves a very sour metallic taste in your mouth and mine began pitting after a week of use. Black and grey pitting all over the clamps (not scorch marks). Whatever metal was used was giving me awful headaches , I had to bag it and put it away. Be cautious with this one , please. I just don't want anyone else getting sick from these. got my Goon 22 black RDA yesterday in the mail. put in a 22ga ni80 6 wrap build. amazing flavor and vapor producion. i like the fact that it comes with another cap to use the built in mouth peice, but i prefer the delrin. 10/10 machining, and the tolerance on the o-rings is perfect (very smnooth, but not loose). 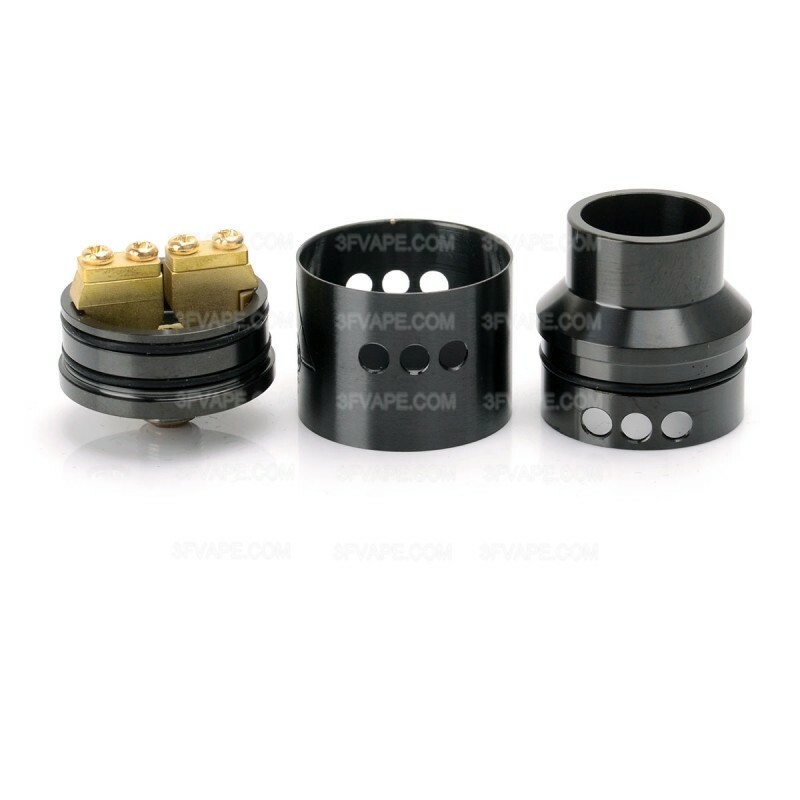 If you own the Authentic 24mm Goon, or the Tobeco version, you have to have this in your arsenal as well. The options it comes with are a steal at $10. It has a metal chuff cap with afc, wide-bore tip, and slightly smaller tip (like Griffin sized). It is machined beautifully, and the flavor is just awesome. Very good quality. Tip: Use a flat-head screwdriver to loosen and tighten clamp screws, this will prolong the life of the screw. I do this with the authentic as well. 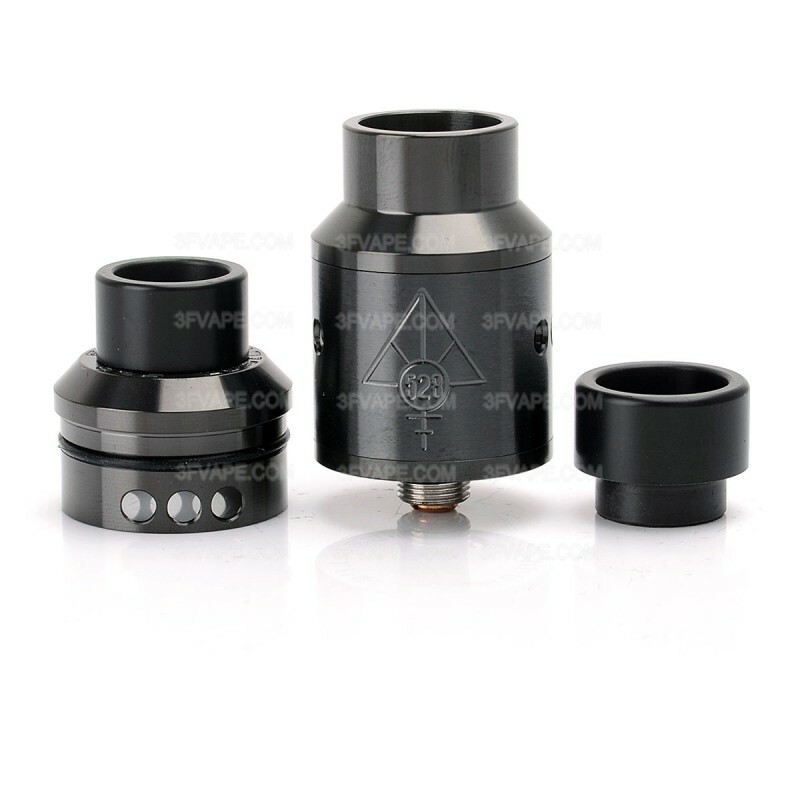 If you own the Authentic 24mm Goon, or the Tobeco version, you have to have this in your arsenal as well. The options it comes with are a steal at $10. It has a metal chuff cap with afc, wide-bore tip, and slightly smaller tip (like Griffin sized). I ordered the black version, and it came beautifully machined, no imperfections. Everything came in seperate bubble wrapped bags, inside a Goon pouch. 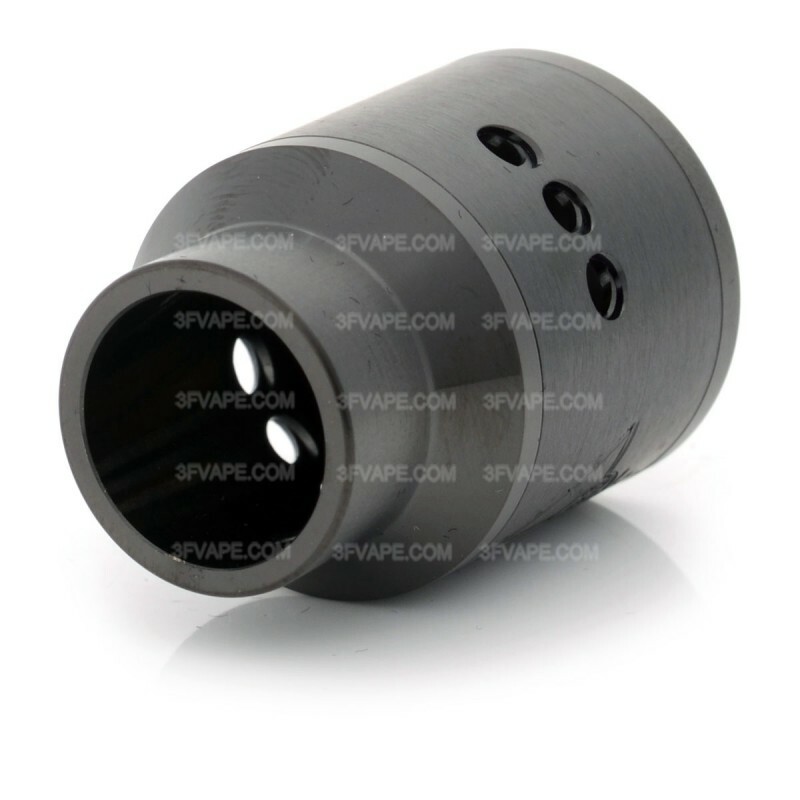 If you are a Goon fan, the 22mm is a flavor power-house. Love this RDA.